Michael Eisen in his office at U.C. Berkeley. Photo: Kristen V. Brown/Gizmodo. Michael Eisen would like to teach Washington a thing or two about the scientific method. Last month Eisen, an evolutionary biologist at U.C. Berkeley, announced plans to run for a seat in the Senate in 2018. As a Republican-controlled Washington has waged war against as basic truths and evidence-based reasoning, it has inspired a political awakening among a scientific community that often resists political engagement. With their work under attack, scientists like Eisen have concluded they can no longer sit idly by. He’s not alone: more than 2,500 scientists have expressed interest in running for office through new group called 314 Action, prompting the group to plan an event in D.C. next month to give scientists a crash course in politics. Over the weekend, hundreds of scientists convened at a political rally “to stand up for science” in Boston’s Copley Square. At least one other scientist besides Eisen—Tracy Van Houten, a rocket scientist in Los Angeles—has already committed to run. “I’m not exaggerating, the response from scientists has been pretty incredible,” Ted Bordelon, communications director for 314 Action, told Gizmodo. He said that 314 Action has received more interest from scientists than it ever expected. For those familiar with the wheeling and dealing of Washington politics, Eisen’s focus on making facts and reason the center of policy debate on the Senate floor sounds idealistic. Good science may rely upon establishing truth and facts based on accumulated evidence, but it would take a reversal of centuries of political convention to get Washington to work that way. Eisen is up front that his run for office may be an ill-fated exercise in the quixotic. Win or lose, his main goal is to prove a point about what he sees as a fatal flaw in the political process. In January, he registered the Twitter handle @SenatorPhD and effectively launched his campaign with a tweet. At present, in all of Congress, there is only one person with a science Ph.D., Bill Foster of Illinois. America is unique in its lack of scientists in public office. German Chancellor Angela Merkel has a Ph.D. in quantum chemistry. Most of China’s top government officials trained as engineers. 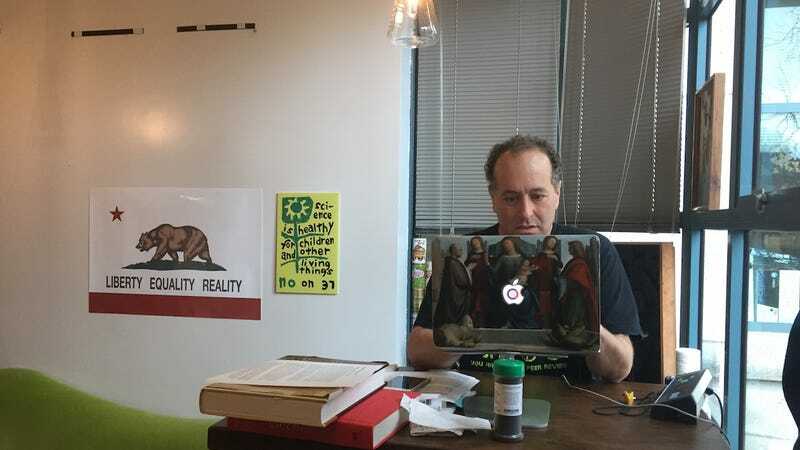 Eisen would run for the seat presently occupied by Democrat Dianne Feinstein, a former mayor of San Francisco who has served in the Senate since 1992. Even if she decides not to run again, his chance of winning her spot is a long shot. Many other high-profile state politicians are already clamoring to fill her slot. He plans to run as an independent, a move that may hurt his chances of winning, but he views as a necessary stand against partisan politics. While he plans to focus his platform on reforming the decision-making process, he does have a few key issues he hopes to bolster, including climate change adaptation, food production and agriculture policy, and geo-engineering, the controversial idea that we can hack Earth’s climate system to cool the planet back down. “Either we’re going to really rapidly as a species change our ways to stop climate change—and I am skeptical that’s going to happen—or we’re going to engineer our way out of this,” he said. “I realize it’s a slightly esoteric agenda,” he added. Eisen is clear about being a rookie, and still in the early days of putting together a campaign. He has still yet to hire any staff or begin fundraising. He hopes to do both by summer. A long-time advocate for the politically fraught open-access movement in research, he hopes his involvement in academic politics will lend him an edge in politics outside the Ivory Tower. He recently learned that announcing he would run so early was a misstep—to avoid rigorous scrutiny of the Federal Election Commission so early on, most politicians say instead that they are “considering” a run until closer to an election. But long odds and early stumbles don’t seem to discourage him.